When a loved one passes, you can find yourself needing to deal with the issue of probate without having much of an idea as to what probate actually is. In simple terms, a will is a legal document that sets out how a person’s money and assets should be distributed following their death. A codicil is a document that amends a previously executed will. For information about making an online will, see Make an Online Will – Get Started. When a person dies and leaves a will, it is the job of the executor appointed in the deceased’s will to implement the terms of the will and administer the deceased’s estate. This usually involves collecting together the assets the deceased owned, paying off any debts they may have had, and distributing any remaining assets in accordance with the terms of their will. If necessary, it is also the executor’s role as part of this process to apply for probate. For more information about the executor’s role, see Duties of the Executor of a Will. While many people are familiar with the concept of a will, and the idea that it provides instructions following a person’s death, the question ‘What does ‘probate’ mean?” commonly arises. the person/s named in the will as the executor/s is entitled to collect and distribute the assets in the deceased’s estate. A grant of probate enables an executor to require people or institutions that hold assets of the estate to transfer those assets to the executor. 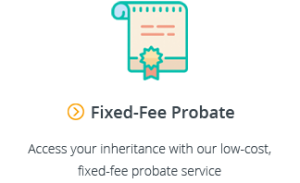 Whether probate is needed often depends on the assets of the deceased estate. Probate may not be required if the deceased had minimal assets, or held property as a joint tenant (which will transfer by way of survivorship). However, estate assets held by institutions – such as money held in a bank, or shares held by a company – are likely to require probate so that the relevant institution has proof of the executor’s entitlement to collect the deceased’s assets. Likewise, transfer of real estate will usually require probate. If you are collecting estate assets, it is a good idea to check with an asset holder as to whether they are willing to transfer the relevant asset without probate. If not, you will need to apply for a grant of probate. make the application personally (i.e. do it themselves). Note that a Supreme Court will only grant probate in relation to assets located in the Court’s state. This article provides a summary of the process to be undertaken when making a personal application. Remember that preparing an application for probate can be complicated and time-consuming. Certain parts of the process may prove difficult for a person without legal experience; for example, responding to requisitions/requests for further information. If you are considering applying for a grant of probate, it is important to review the information on the relevant Supreme Court website and/or seek legal advice. after at least 14 days from the date of advertising, be filed – with all required documentation – at the Supreme Court of NSW Registry. be filed – with all required documentation – in person at the Probate Office. be published (at least 14 days after advertising, and at least 7 days after the Public Trustee receives the notice) – together with supporting documentation – at the Supreme Court of Queensland. involve presentation of the original will to the Probate Registry at an appointed time. be filed – together with all supporting documentation – at the Supreme Court Registry. solicitor’s fees (if you engage a solicitor). You should consult the Supreme Court website in your state for further information. The average processing times for a grant of probate in each state are discussed above. However, you should remember that these times do not account for particularly difficult applications, or requisitions from the registrar which require you to provide additional information before the application can be processed. filing of a caveat by a party claiming to have an interest in the estate, which can pause the grant of probate until the claim is resolved. Even in the absence of additional complications, the process of granting probate can take some time. Keep in mind that in some states, it is necessary to advertise a notice of intention to apply for probate for a period of 2 weeks and, even in states without this requirement, you may have to wait at least 14 days from the date of the deceased’s death before commencing the application process. It can then be a number of weeks, or months, from the date of filing before the registrar makes the grant. It’s likely that the deceased’s funeral will take place before a grant of probate – and therefore access to estate funds – occurs. 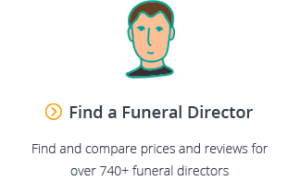 If you’re responsible for paying for a funeral and are looking to access funds while waiting for a grant of probate, you may be interested in Gathered Here’s buy now pay later funeral purchase option. 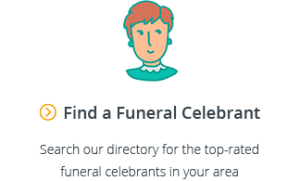 Through our partnership with zipMoney, you can purchase a funeral from selected funeral directors and pay nothing up front, with 3 months to pay off the loan, interest and fee-free. 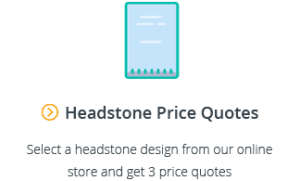 Important Note: Buy now, pay later finance on Gathered Here is generally only approved for prime, near prime and emerging prime consumers (i.e. consumers who are likely to be able to repay the loan). We do not promote the practice of lending money at high interest rates to those who are unlikely to be able to repay. For more information on how to purchase a funeral on 3 months’ interest- & fee-free finance, click here. We hope this guide has answered your queries as to What is Probate? For further discussion about probate and estate administration, see our Probate FAQs. If you have any questions about our buy now, pay later funeral finance, please don’t hesitate to get in touch with us at finance@gatheredhere.com.au or start a live chat by clicking the floating message box in the bottom right corner of your screen. See the full picture and make fully informed decisions. Move forward in the certainty that your loved one’s memory will be looked after. Funeral Homes are Gathered Here.